Canary and Finch are a species of birds that commonly are known as songbirds. This quality makes the bird exotic and appealing. Their basic food diet involves seeds mix and fresh food items like greens. Our products at Pets World are manufactured based on research so as to optimally supplement their nutritional requirements for them to grow well. Feeding canaries has to be specifically chosen. 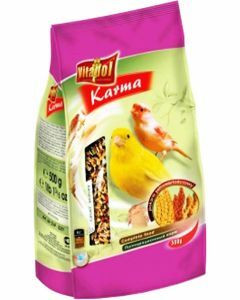 Finch food online at Pets World will help you choose the best bird food from various producers. 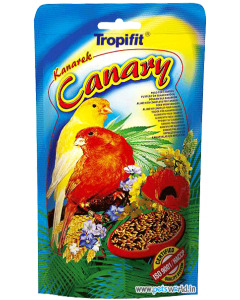 Tropifit canary food is one such product that is wholesome with high-quality formulation specially made for canary and finch. Natural ingredients are mixed with seeds and grains that form the basic diet for feeding canaries and finches. This blend of ingredients helps in the bird’s plumage and ability to sing. 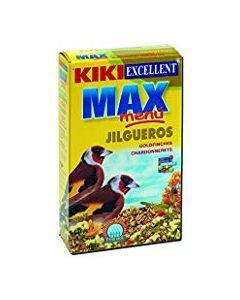 Kiki Excellent Max Menu is another natural blend of nutrients that are essential for all-round development of your pet Goldfinches. The finch food online provides proper nourishment and digestion that will help the bird grow healthier and have a long life. 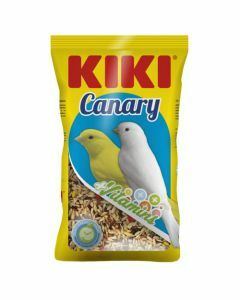 At Pets World you can find a variety of food options to serve well the nutritional needs of your pet canary and finch. 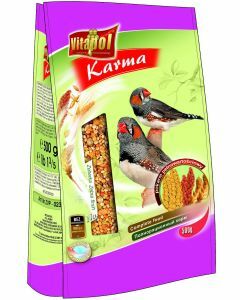 Order them online and serve a tasty yet healthy diet to your pet birds.